Technically of course former world chess champion Vladimir Kramnik has won the title at the Dortmund Sparkassen Chess Meet 2011 but the tournament's 10 rounds have to be played. 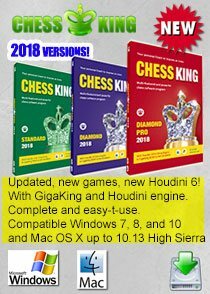 So, here is the latest chess news after the ninth round which saw Kramnik settling for a draw with Anish Giri, Hikaru Nakamura beating Georg Meier and Le Quang Liem also drawing with Ruslan Ponomariov. Standings after Round 9 have Kramnik with 7 points, Liem with 5 points, Ponomariov and Giri with 4.5 points, Nakamura with 3.5 points and Meier with 2.5 points. You can access the official website at this link. Meanwhile, here are the nice games of Round 9. There is a nice article at www.chessdom.com about the World Chess Hall of Fame that is going to open officially in September this year. 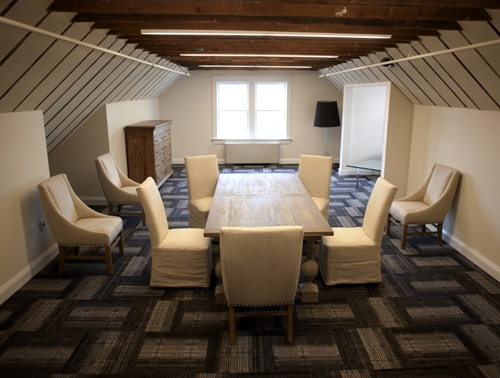 The story of the Hall began in 1986 and is a nonprofit organization committed to building awareness for the cultural and artistic significance of chess. 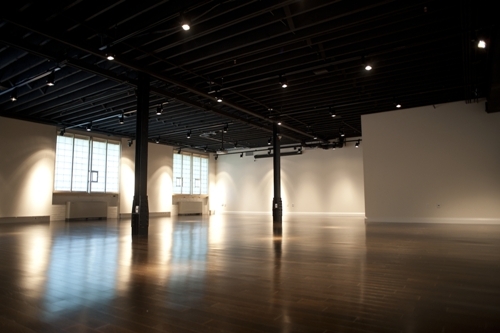 The arts-based institution will present exhibitions of artistic and historical significance from collectors and nationally and internationally recognized artists. 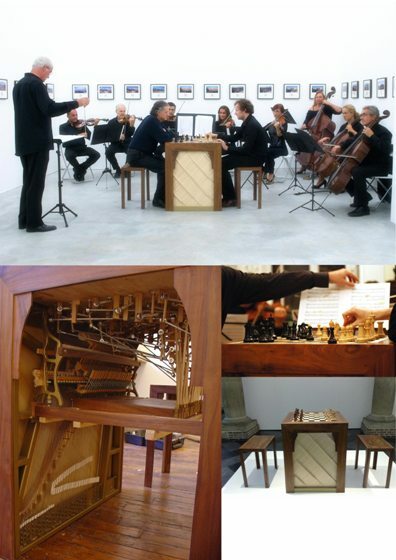 It will also offer interpretive programs, such as dance, music and art performances, that lend context and meaning to chess. The Hall of Fame is a separate entity from the Chess Club and Scholastic Center of Saint Louis. The organisations differ in that the Club focuses on encouraging the play of the game, while the Hall of Fame will focus on the historical and socio-cultural significance of the game, as well as how that significance has been interpreted by cultures worldwide. The Hall of Fame has moved to Saint Louis, from its former home in Miami. 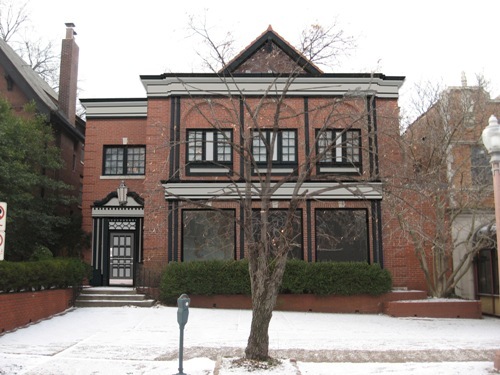 Situated in the heart of Saint Louis' Central West End, the Hall of Fame is located at 4652 Maryland Avenue. 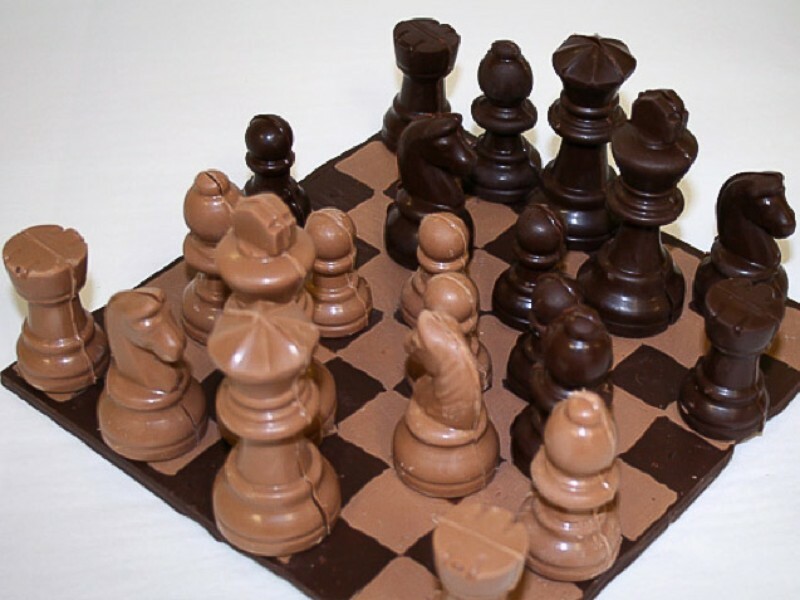 These are those things we love to talk about - chocolate and chess plus a chocolate chess! CNBC has compiled a list of the most amazing objects ever assembled from chocolate, and Houston's Kegg's Candies landed a spot. Amongst a Godiva mailbox, a BMW, a miniature castle and even a couple of chocolate rooms (one by Karl Lagerfeld), CNBC lists a chess board of chocolate complete with gourmet milk and dark chocolate chess pieces by Kegg's, which has been making chocolate and other treats in Houston since 1946. The board is 8.5 square inches and is made of alternating dark and milk chocolate squares. The individually moulded pieces range from pawns that are two inches tall to the 3.5-inch king. The sets are sold at Kegg's for $39.95. Happy chessy drooling Sunday everyone. This is Paul Morphy's only known Chess Problem, originally published in the New York Clipper on June 28, 1856. World Chess No. 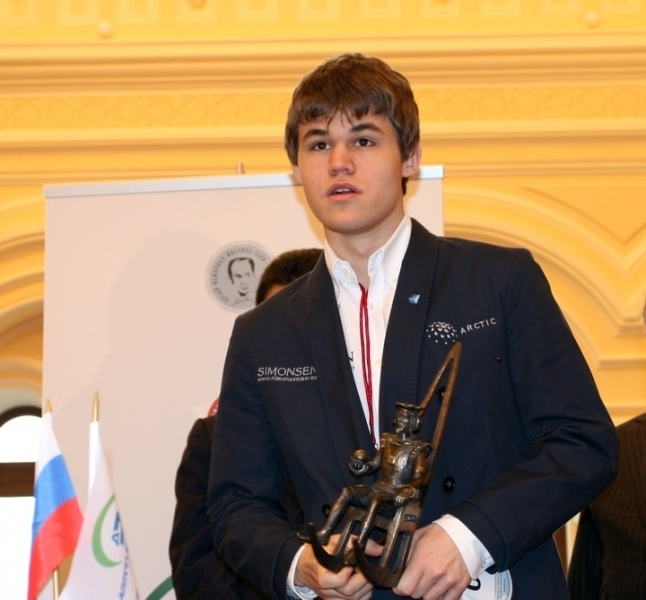 1 Magnus Carlsen gets the Chess Oscar for the second time in succession. The award was set up by the Russian Chess Magazine 64, sixteen years ago. 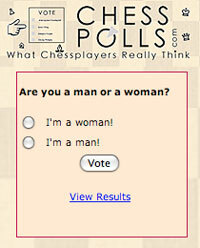 The voting for the award is by chess journalists, writers, public figures etc. In second place is the current world chess champion, Viswanathan Anand. According to the voting, Levon Aronian was third and Vladimir Kramnik was fourth. 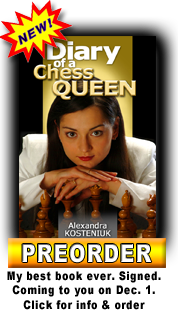 You can read further at www.chess-news.ru. 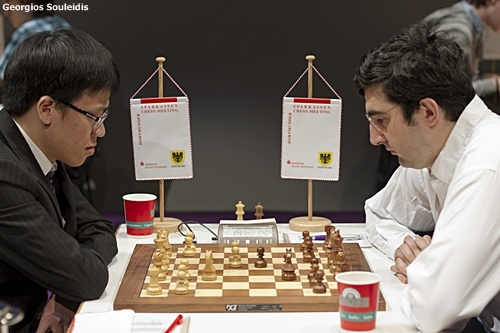 Like Carlsen held forth in Biel, Kramnik is doing thus in Dortmund. After Round 8, the former world chess champion leads with a comfortable 6.5 points. Two points away is Liem Quang Le at 4.5 points. Both Ruslan Ponomariov and Anish Giri are at 4 points each while Hikaru Nakamura and Georg Meier are at 2.5 points each. 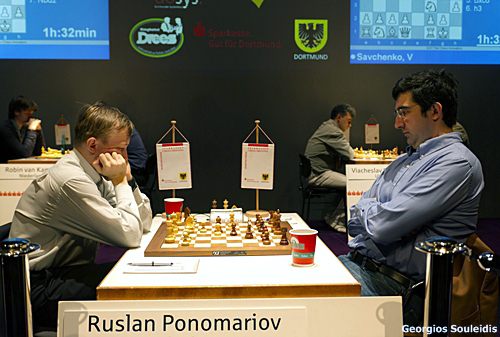 In the eighth round, the only decisive game was Ponomariov beating Nakamura. Liem nearly beat Kramnik but the latter was just too precise and the game ended in a draw. The Meier and Giri game too was a draw. You can access the official website at this link. Meanwhile, here are the great games of the eight round. You can run them in our special gameplayer that has no problem on any platform - whether the iPad or your regular netbook. Enjoy. 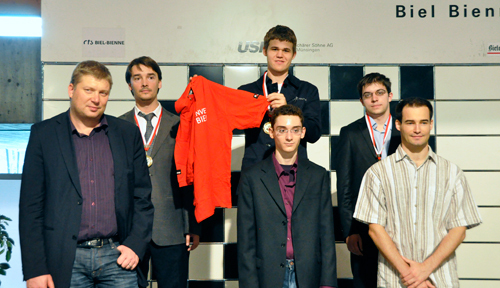 Congratulations to Magnus Carlsen for winning the Accentus Biel Chess Grandmasters event 2011. Congratulations to Alexander Morozevich for the second place, to Maxime Vachier-Lagrave for the third place and everyone who played for giving us such beautiful chess over the last several days. The 44th Biel Chess Festival took place July 16-29 in Biel, Switzerland. The ‘Grandmaster Tournament’ was a six-player, double round robin with Caruana, Pelletier, Shirov, Carlsen, Morozevich and Vachier-Lagrave.The rate of play was 2 hours for 40 moves, then 1 hour for 20 moves and then 15 minutes to finish the game, with 30 seconds increment from move 61. The ‘football’ scoring system was in effect: three points for a win, one for a draw and zero for a loss. Besides, no draw offers were permitted before move 30. And the winner gets a T-shirt for the week's hardwork! In the last round, Alexander Morozevich defeated Yannick Pelletier. Carlsen drew with Fabiano Caruana and Shirov drew with Vachier-Lagrave. 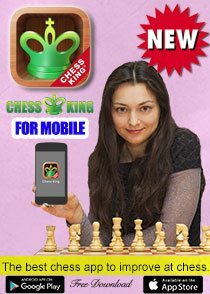 Here is a nice video by www.chessvibes.com. Open tournament winner Ni Hua (left) with Bu Xiangzhi. You can access the official website at this link. Meanwhile, here are the nice Round 10 games. Enjoy. 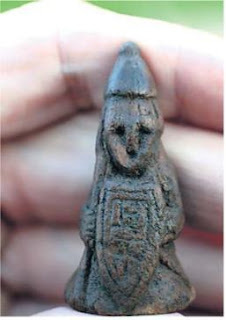 A chess piece cut out of herringbone was among the objects found in an archeology expedition at Siglunes by Siglufjordur. According Fréttabladid team leader Birna Lárusdóttir thinks that most likely the piece was cut out in Iceland in the 12th or 13th century. The group found remains of camps for fishermen in the area, which is now in danger because of waves breaking down the coast. Siglunes is the farm of Thormódur rammi, the first settler in Siglufjördur according to Landnáma, the Book of Settlements in Iceland. The chess piece was wearing a helmet and weapons. Read more about the excavations at this link. The World Junior Open Chess Championship 2011 is set to begin on August 1 in the Indian city of Chennai. A total of 127 players, including 19 Grand Masters from 44 countries in the boys' section and 69 from 33 nations in girls' category will participate in the event. The event will be inaugurated by world champion Viswanathan Anand. You can access the official website at this link. The golden jubilee edition will have Maxim Matlakov of Russia as the top seed while Nazi Palkidze of Georgia will be top seed in the girls' section. The championship would be of 13 rounds under Swiss format with a time control of 40 moves in 90 minutes and remaining game in 30 minutes with an increment of 30 seconds from the first move. 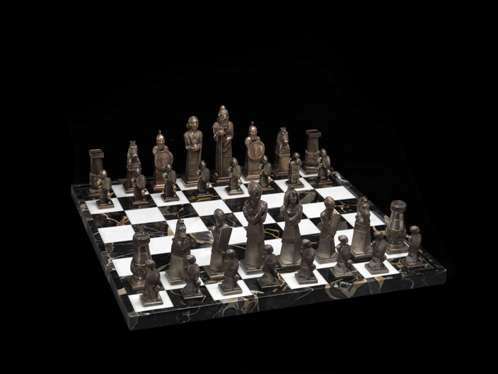 We chanced upon this nice video of an antique hand-carved chess set from China. Looks pretty and beautiful. Must have involved painstaking hard word. 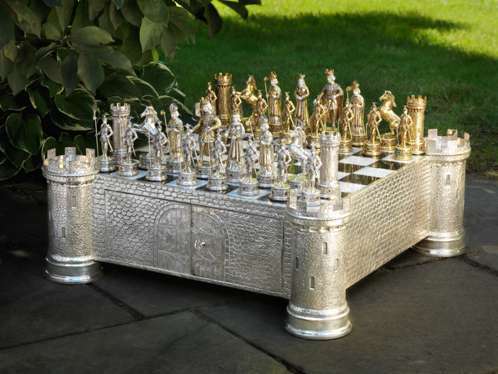 Have a wow weekend dreaming of beautiful chess sets. It was sent to us via @swakilki at @chessqueen and @kosteniuk twitter accounts. Don't forget to send us your favourite videos too. 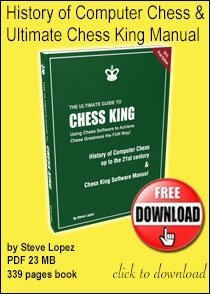 The latest chess news from the Accentus Biel Chess Masters is the same - Magnus Carlsen is set to win the title. Rather, has won the title though another round is to be played! 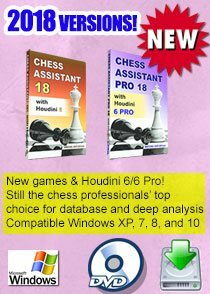 In the ninth round, he drew an exciting game with Maxime Vachier-Lagrave while Fabiano Caruana beat Morozevich and Alexei Shirov and Yannick Pelletier drew their game. Here are the games which you would just not like to miss. You can also access the official website at this link. The standings after Round 9 are as follows: Carlsen has 18 points, Morozevich 14, both Vachier-Lagrave and Shirov have 11 points, Caruana has 9 points and Pelletier has 5 points. Former world chess champion, Grandmaster Vladimir Kramnik is all set to win his tenth title at the Dortmund Sparkassen Chess Meeting. In the seventh round, he beat Georg Meier to extend his lead to a full two points. 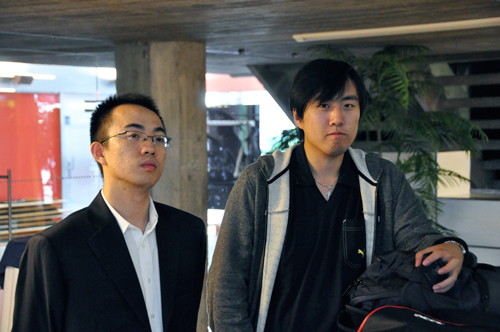 Meanwhile, Le Quang Liem drew with Hikaru Nakamura and Anish Giri beat Ruslan Ponomariov. As you know, the 39th Sparkassen Chess Meeting is taking place from July 21-31, 2011 in the City Theater of Dortmund, Germany. Like Biel, it’s a 6-player double round robin event. This year Vladimir Kramnik, Hikaru Nakamura, Ruslan Ponomariov, Anish Giri, Le Quang Liem and Georg Meier play. For the second time Dortmund uses an anti-draw rule: the players are not allowed to offer a draw during the game. The game will be declared a draw when a win for either side is not possible any more, or in case of a three-fold repetition. According to the standings after Round 7, we have Kramnik at 6 points, Liem at 4, Giri at 3.5, Ponomariov at 3, Nakamura at 2.5 and Meier at 2. Here are the nice games of Round 7 and you can access the official website at this link. Chess is a dream - watch this funky/lovely commercial with a chess motif sent to us by www.blackandwhiteindia.com. 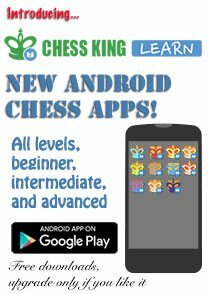 If you've got a favourite chess video - don't forget to share it with us. Simple chess puzzle to check if you're paying attention! Here is a nice chess puzzle for a swell Thursday. It's very simple actually. But just to check if you're alert! Enjoy. In the given position White played Bxh7 picking up a free pawn! But Black had other things in mind. What did Black play and win after Bh7? 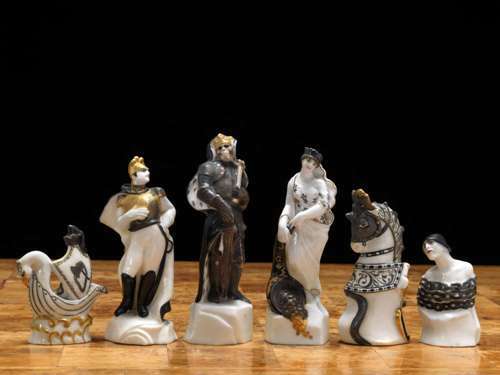 Maddening chess set in art donation! "A Maddening Chess Set, Wonderland Vs. Looking Glass" (1977) by Catherine A. Ryan of Takoma Park, MD., part of R.J. Reynolds' art collection being provided to Arts Council. R.J. Reynolds Tobacco is giving an estimated 3,000 pieces of artwork from its corporate collection to the Arts Council of Winston-Salem and Forsyth County. The combined value of the artwork is about $700,000. 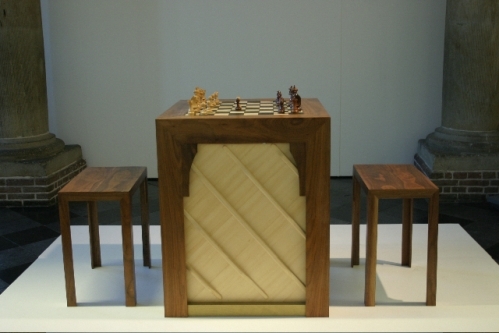 The artwork includes this fascinating chess set! The latest chess news from the Biel Chess Fest is that Carlsen continues to lead despite a draw with Alexander Morozevich in the eighth round. On the other hand, Maxime Vachier-Lagrave beat Yannick Pelletier with a rook sacrifice and Alexei Shirov beat Fabiano Caruana. You can access the official website at this link. Meanwhile, here are the very nice games. You can run them in our gameplayer below. The latest chess news from Dortmund is - for a change all games were drawn in the sixth round - after the Sparkassen Chess Meeting resumed on Wednesday. Vladimir Kramnik is still 1.5 points ahead of Le Quang Liem with four rounds to go. As you know, the 39th Sparkassen Chess Meeting takes place July 21-31, 2011 in the City Theater of Dortmund, Germany. Like Biel, it’s a 6-player double round robin event. This year Vladimir Kramnik, Hikaru Nakamura, Ruslan Ponomariov, Anish Giri, Le Quang Liem and Georg Meier play. For the second time Dortmund uses an anti-draw rule: the players are not allowed to offer a draw during the game. The game will be declared a draw when a win for either side is not possible any more, or in case of a three-fold repetition. Here are the fighting games of Round 6 for you to enjoy and learn, Just use our pop-down menu to see the games and - don't worry - the gameplayer works on the iPad too. You can access the official website at this link. Who says video games and hand-held electronics are what kids want? THEY WANT CHESS. YAYA. Watch this lovely video and you can find two more in the series at the same link. For long, educationists and child psychologists have spoken about the positives of playing chess. It's heartening and such fun to watch kids play chess. And, as they learn chess, one thing you know for sure - whether they eventually play professionally or not - they're on track for life. Enjoy.